The 1960s still provide inspiration to the fashion industry today which is evident when looking at examples such as the Birkin from Hermès and the Dior’s recent taken on Edie Sedgwick’s Factory Girl style. After the full skirts and impeccable hair and make-up of the 1950s, the fashion of the 1960s could be seen as an act of rebellion, echoing the political and social changes of the time. Here we take a look at the most influential fashion icons of the 60s. Not only was she Andy Warhol’s muse, Edie Sedgwick was the original IT girl. Her style was characterised by eyeliner in excess, oversized chandelier earrings, mini mod dresses with slight black tights, and a crop of platinum hair. Born Lesley Hornby, Twiggy popularised the pixie cut and rose to supermodel stardom thanks to her unique style and boyish hairstyle created by celebrity hairdresser Leonard in 1966. Almost instantaneously, Twiggy became the face of 60s fashion. Besides having a fling with almost every member of the band, Anita Pallenberg had a profound influence on the style of The Rolling Stones. From thigh-high boots to fringing and skin-tight prints, Pallenberg’s influence is clearly recognisable in the wardrobe of the band members. Best described as a fashion influencer, Mary Quant made the look of the decade available to the masses from her shop on the Kings’ Road in London, UK. Not quite the level of online betting influence, but we do owe the mini skirt, hot pants, coloured tights, and plastic macs to this pioneer of design. Even through tremendous tragedy, Jackie Kennedy managed to maintain her impeccable style and is widely regarded as the original fashionable First Lady. 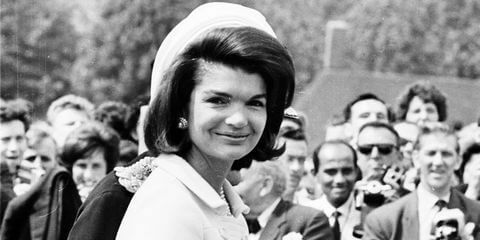 With prim skirts, pillbox hats, and oversized sunglasses, Jackie O had a far-reaching style influence on women. Breakfast at Tiffany’s certainly put the little black dress at the forefront of style and who could forget the top-handle handbag and the movie star sunglasses? On and off-screen, Hepburn was always impeccably styled and she mastered the style of capri pants and ballet pumps. With legs for days, Jean Shrimpton revolutionised the modelling industry of the 1960s with her slender frame and paved the way for fellow waifs Twiggy and Penelope Tree. Her influence can even be seen in models such as Kate Moss who pioneered the grungy fashion aesthetic of the 1990s. While Twiggy mastered the pixie, Mia Farrow went even shorter with a style that is best described as elfin. The former wife of Frank Sinatra and star of Rosemary’s Baby added playful touches to her style with Peter Pan collar dresses and unusual shoe pairings. Iconic costumier Edith Heath was the woman behind Tippi Hedren’s legendary look in the Alfred Hitchcock film The Birds and ensured that she stayed effortlessly stylish with her perfectly put together blonde hairdo and ladylike skirt suits, all of which had a major influence on the style of the day.